3 Bedroom Detached House For Sale in Colchester for Offers in excess of £235,000. No chain ! In need of renovation ! Situated on the South side of Colchester, 0.8 miles to St. Georges Infant School and Nursery, half a mile to Thomas Lord Audley secondary School, close to local amenities and 1.5 miles to Colchester Town Centre and Colchester Train Station. Detached three bedroom family home with a garage and parking. With an entrance door to side, two built in storage cupboards, stairs to first floor accomodation. With a low level wc, wash hand basin, opaque double glazed window to side. With patio doors to rear, double glazed window to rear. Featuring a range of wall and base units, stainless sink and drainer unit, double glazed window to front, door to side. 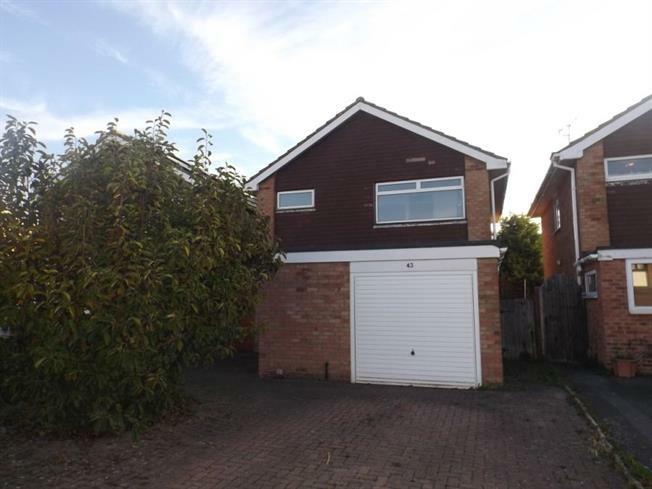 The property benefits from an integral garage, with additional driveway parking to front. In addition, there is an enclosed rear garden that is mainly laid to lawn.